Announcement Last day to order for Christmas without express shipping is December 10! The Teatime Baker was born from a love of baking, reading, and a lifelong dependency on tea! I am creating a range of gifts and products for tea lovers, bookworms and bakers to complement the recipes and content on my website The Teatime Baker. I will be adding new items throughout the year. Gifts for the modern Teatime. All photos are copyright © Erin Beutel. Images may not be reproduced by any means or used in any products for sale without my permission. Last day to order for Christmas without express shipping is December 10! Photo arrived safe and sound! Loved it so much bought another set. Perfect gift for the Kenyon graduate or alumni. Received it fast, Erin was responsive to my emails and made a change for the second set. Highly recommend her! I started my blog/website The Teatime Baker in 2017 to celebrate baking, tea and the concept of Teatime. 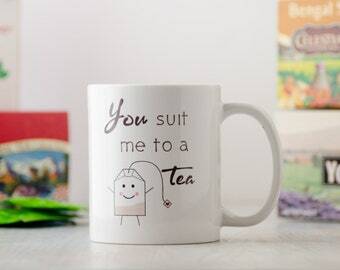 To me Teatime is the concept of taking a break to enjoy quality face to face time with the people we love. Even better if that time is accompanied by tea and some delicious homemade baked goods! On my website I offer recipes and baking tips for all seasons. Here I am offering fun and unique products for bakers, bookworms and tea lovers! Photographer, mother, wife and all around creative. I use a professional lab to make my prints so I can insure that they meet my quality standards. 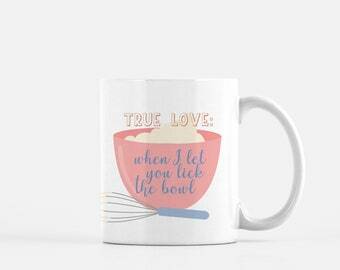 My printing partner helps me create high quality mugs for you to enjoy. They also help me ship your selections to you quickly! 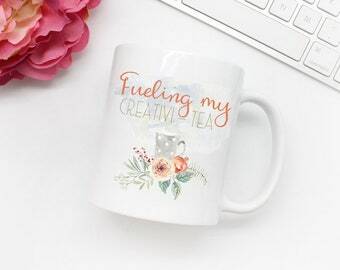 Prints my designs onto your mugs with high end equipment for the best product. Professional lab that prints and creates custom fabric products. -If you have any problems with your order please contact me and I will work with you to find the best solution. -I accept credit cards and Etsy gift cards via direct checkout and PayPal payments. -If payment is not received within 24 hours the sale will be canceled. If you have problems or extenuating circumstances please contact me and I will be happy to work with you. -Your order will be created and shipped after payment is received. - Each order will be packaged and shipped with the utmost care. - The time I need to prepare an order for shipping varies. For details, see individual items. - I will send you a tracking number when your package is shipped. - If you have a special request, or would like a gift mailed directly to the recipient, let me know in the notes to seller. - To International customers: I welcome your business! Please be advised: I cannot pay any customs, duty fees etc. that may apply when your package enters your country. All images are taken by me and are copyrighted. The purchase of any product or image does not transfer any reproduction rights or copyright. Please remember that colors may not be the same on all monitors, so your print may not look exactly like what's on your screen.